Hi, my name is Brian Rudolf, owner of Empire Photography. All my images are shot with Nikon equipment and I have more than 10 professional lenses including backup equipment, for any type of event. I mainly specialize in wedding, portrait, and commercial photography, however I strive to be one of the leading family photographers in Winnipeg as well. I have been featured in many magazines and blogs from all over Manitoba, Canada and the world including It’s Love Magazine, Style Me Pretty, Offbeat Bride and more! You can also visit me on the Vistek photography group or you can keep up to date with my most recent work by visiting my blog, or find out more about me and any services by browsing my website and portfolio. If you have any questions please don’t hesitate to contact me! The core of my business is wedding and engagement photography and I’m always improving my style, prices and technique while keeping things creative and fun for everyone involved. My goal is to capture beautiful moments that tell stories of your wedding day, details such as decor, and incredible images people will fall in love with and print off in their homes for generations to come. 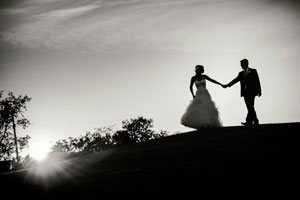 Finding the best Winnipeg wedding photographers prices can be difficult so I’ve written several wedding planning articles to help 1, 2, 3, 4, 5, 6,7. I generally only shoot 20 weddings per year, which allows me to spend extra time to get to know each bride and groom, scope out their ceremony, reception and photo locations beforehand, then also to professionally edit and perfect their photos after their big day. Every image I’m capturing for my clients gets fully edited including blemish removal (if needed) and airbrushing. You deserve stunning and beautiful wedding photos and you also deserve them quickly, all your pictures are guaranteed to be delivered within two weeks. Getting married somewhere hot? I also do destination wedding photography – contact me for more details! A fun session spent capturing incredible family moments are an amazing way to ensure those smiles are kept as beautiful memories in photo form! I absolutely love every event or session and am thankful I’m able to be a part of creating priceless memories for couples and families! I try various poses to find what makes each person most comfortable and if they’re feeling adventurous we can give their photos an extra creative boost by using our surrounding environment or fun props. No matter what your style is, every location I shoot ends up with amazing images for you to cherish for a lifetime. Commercial work is also a big part of what I do. It has become so popular that I have a whole section of my website dedicated to it. I specialize in real estate photography for agents selling homes, an architectural photographer in Winnipeg for builders completing a project, as well as Corporate / Realtor headshots and candid moments at company banquets or awards nights. Whatever the event, I offer an industry leading turn around time of 48 hours. With my experience in the wedding industry, as well as having a background in graphic design, I was able to start up Empire Invites – a Winnipeg wedding invitations website that sells custom wedding invitations worldwide at unbeatable prices. My wife, Jacquie, and I ship to hundreds of happy customers all over the world. We have designs for all kinds of weddings so if yours is a themed wedding, winter wedding, destination wedding, or romantic wedding, we have a design for you! From modern to vintage to fun and more. With over 300 designs there is something for everyone! My most important goal is to have happy clients and make every effort to meet or exceed their expectations. With that said I am very proud of my perfect 5 star reviews on google local and around the web such as yellow pages, wedding wire and more. Download my FREE mobile app for your Android device.